Simply stamp over your personal confidential details with the 'scrambled' impression - effectively hiding the text underneath. 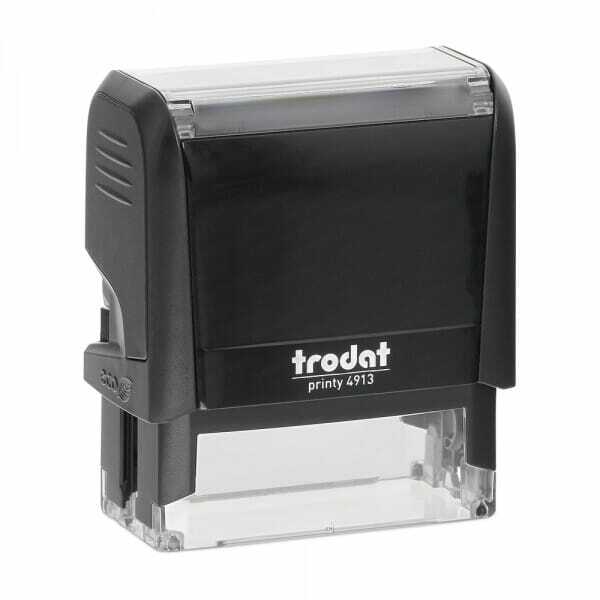 Self-inking Trodat Printy stamp supplied with a black ink pad. Replacement ink pads are also available to further extend the life of your self-inking stamp. Pad reference code 6/4912. Customer evaluation for "Trodat Identity Protection Stamp"